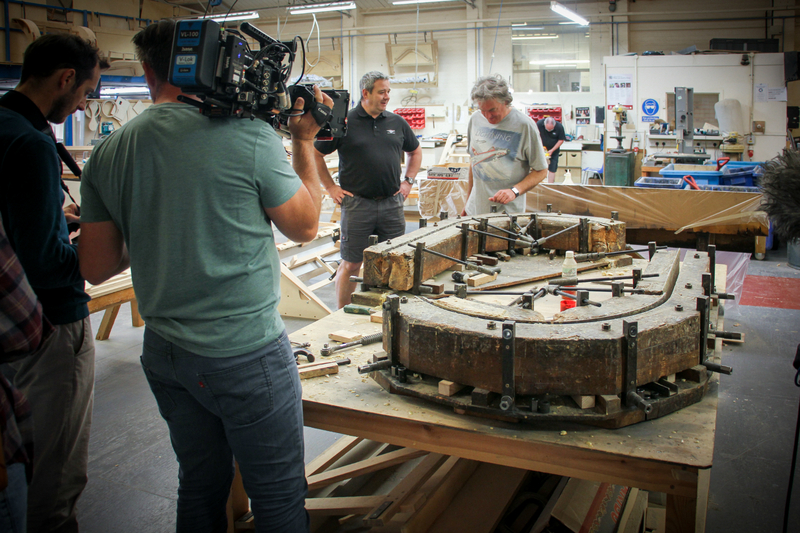 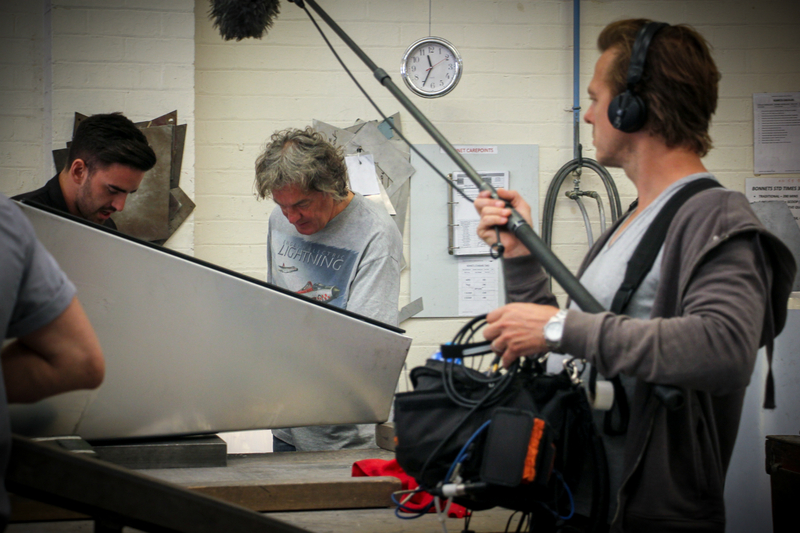 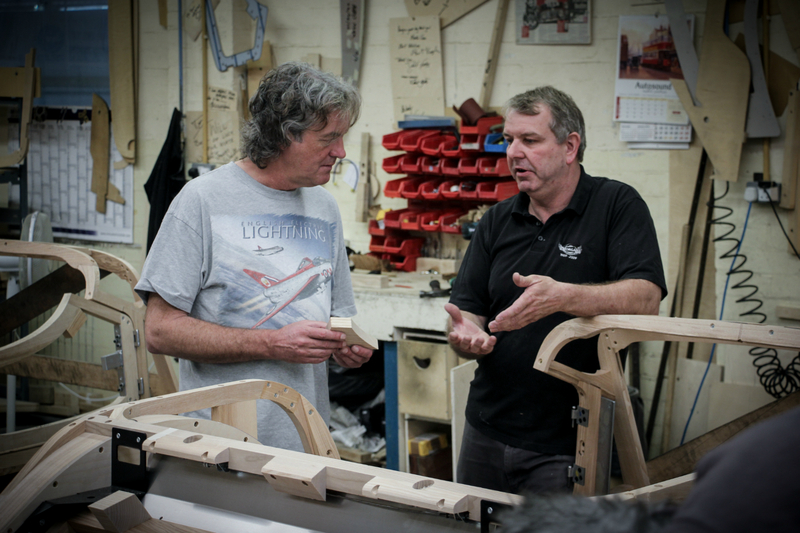 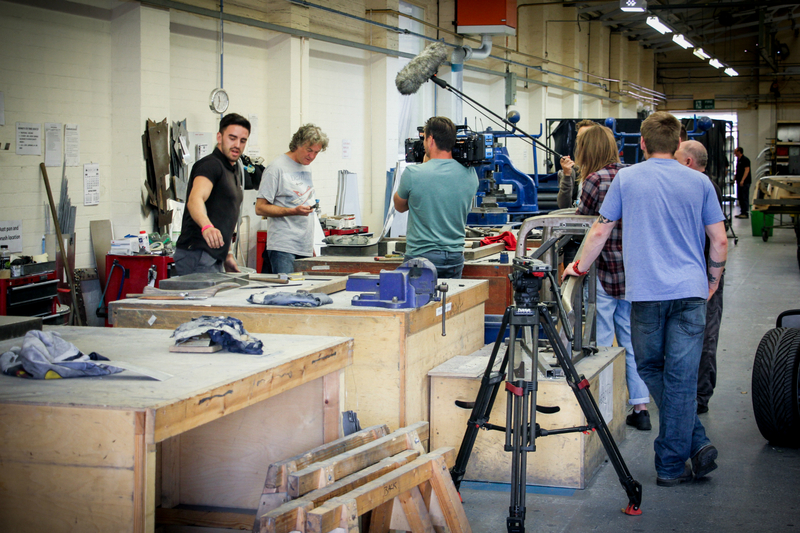 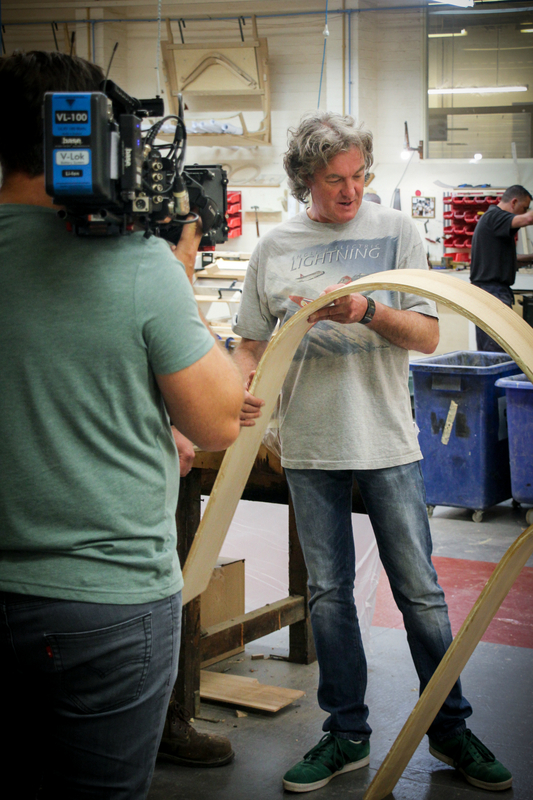 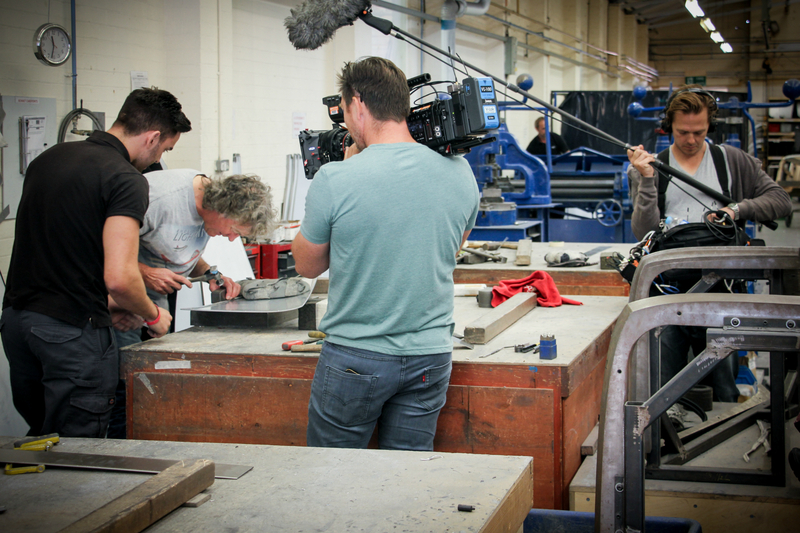 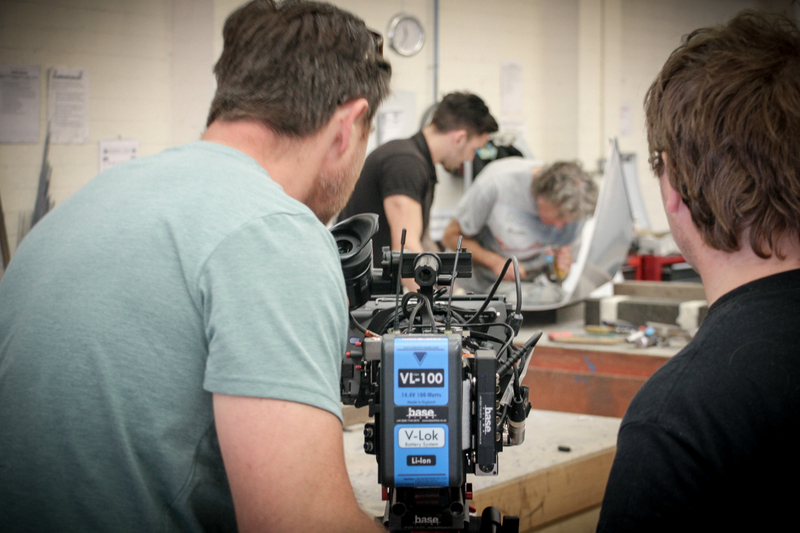 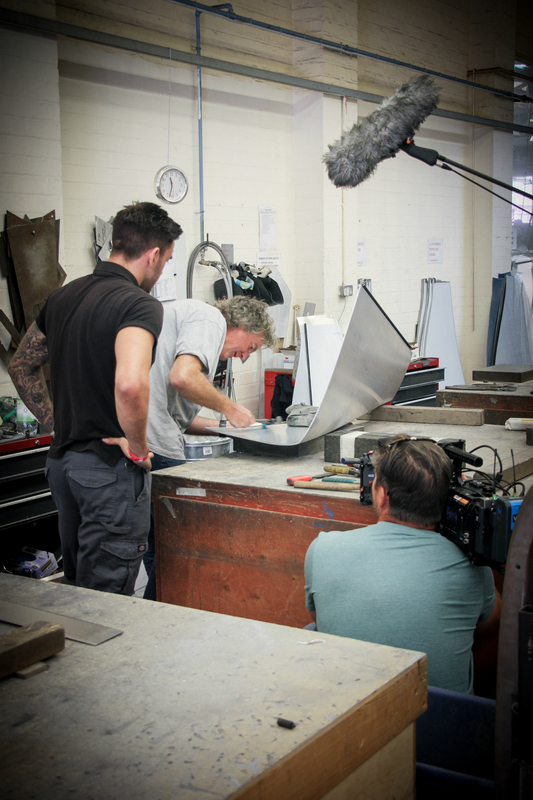 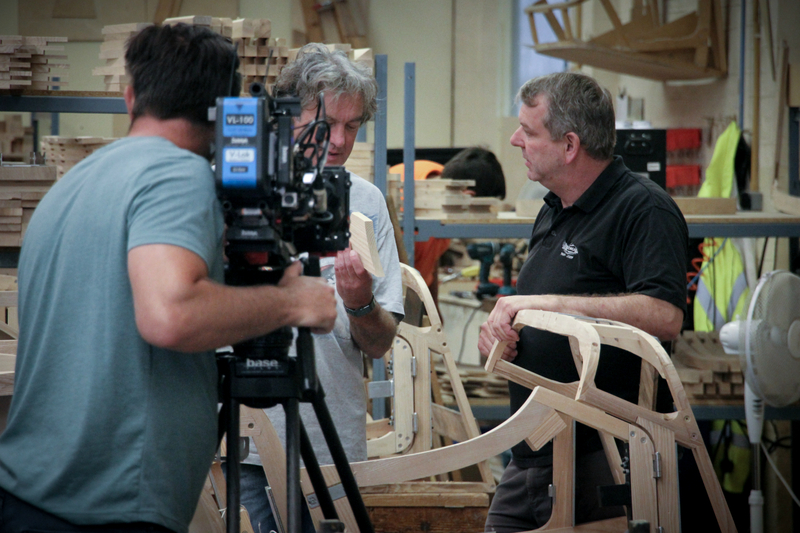 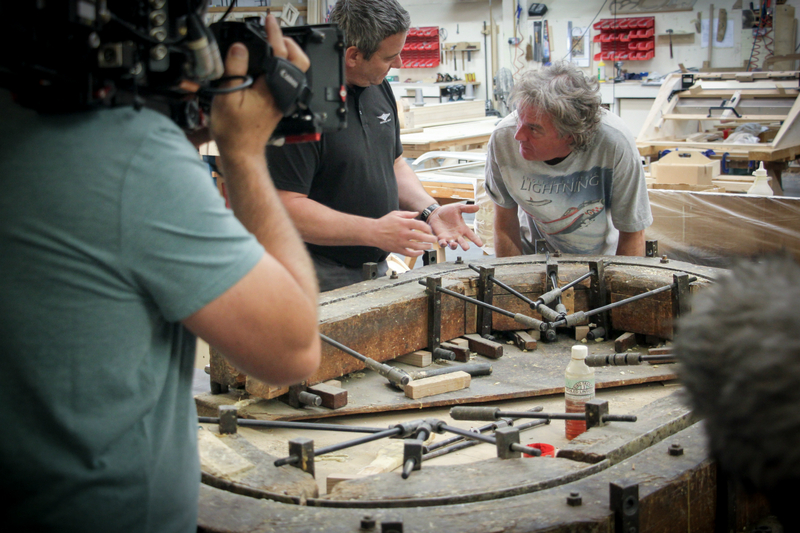 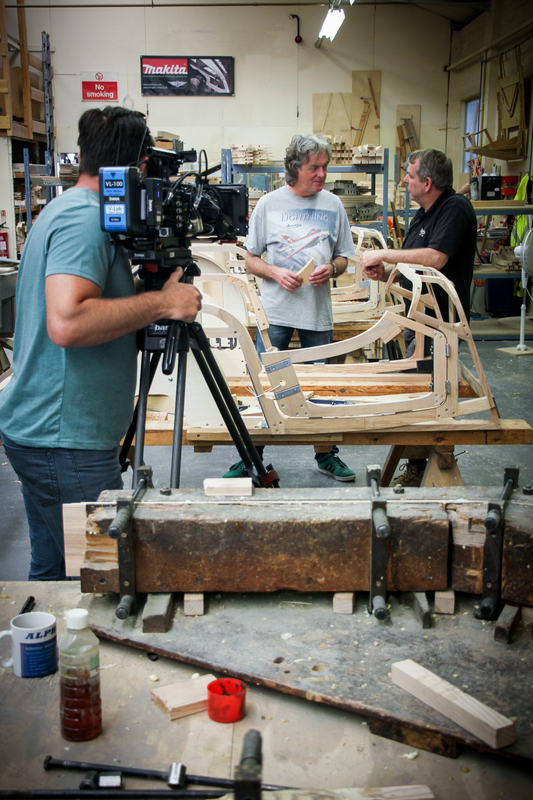 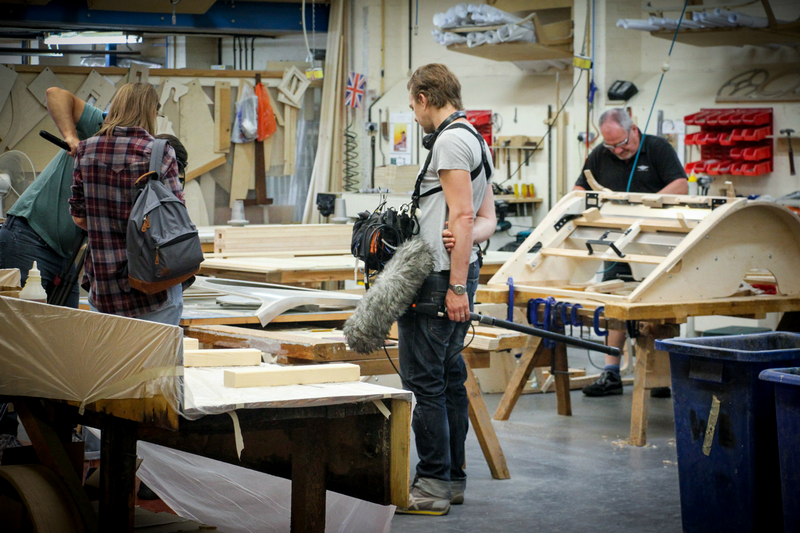 James May visits Morgan as part of filming for Building Cars Live, a two part BBC programme looking at UK automotive manufacturing. 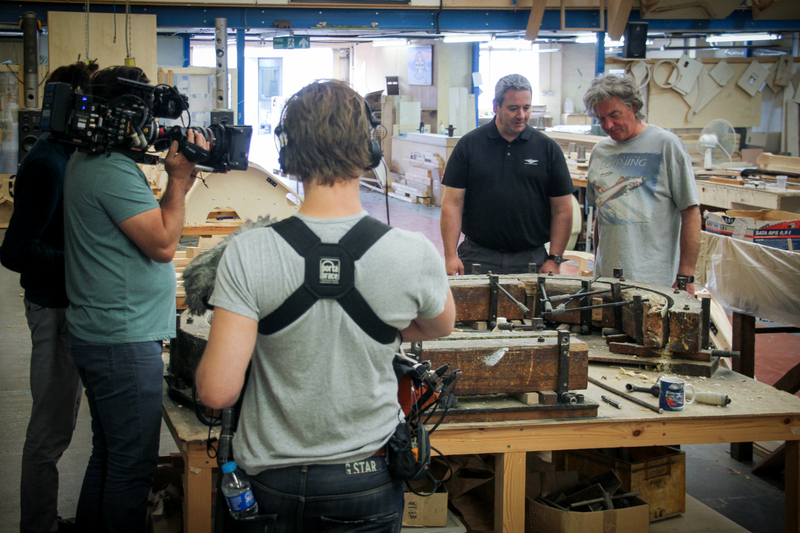 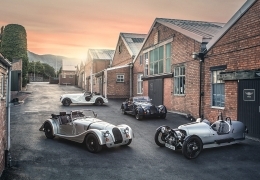 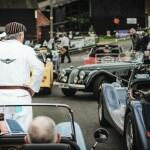 The Morgan Motor Company was excited to welcome James May to Malvern Link earlier this summer as part of filming for a new BBC show Building Cars Live. 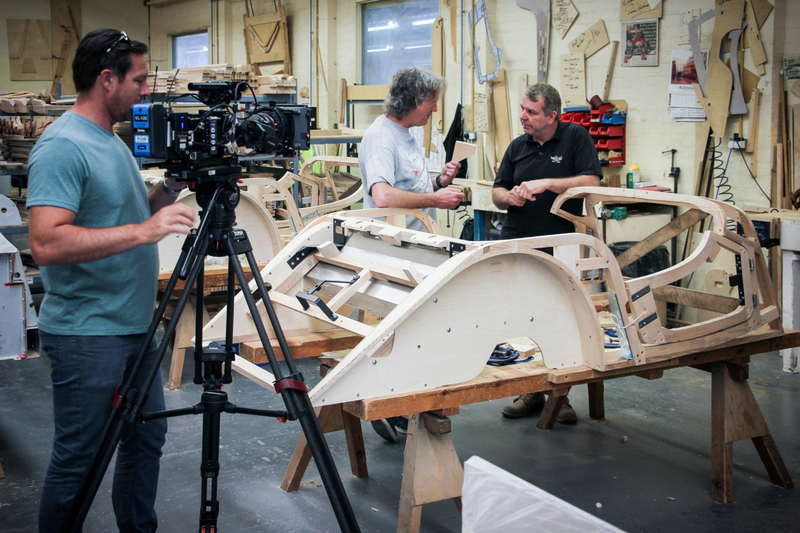 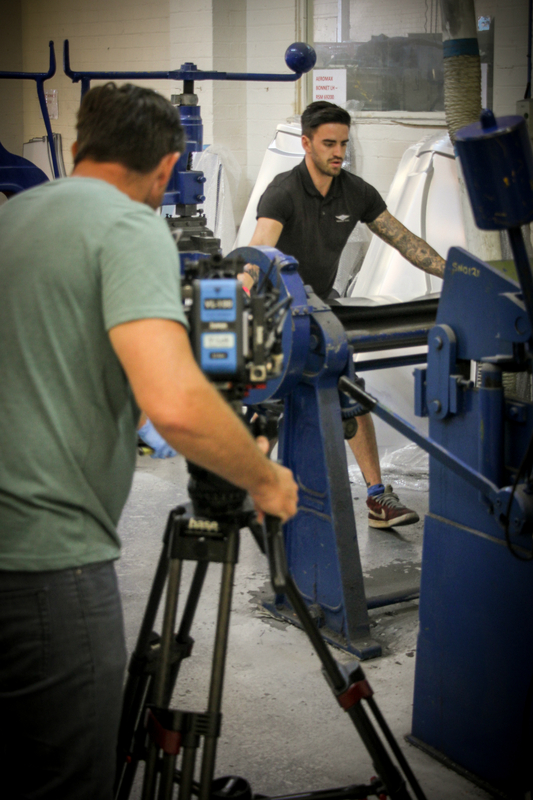 Running over two live shows, Building Cars Live takes a look at UK automotive manufacturing, celebrating the diverse range of manufacturers that build their cars in Britain today. 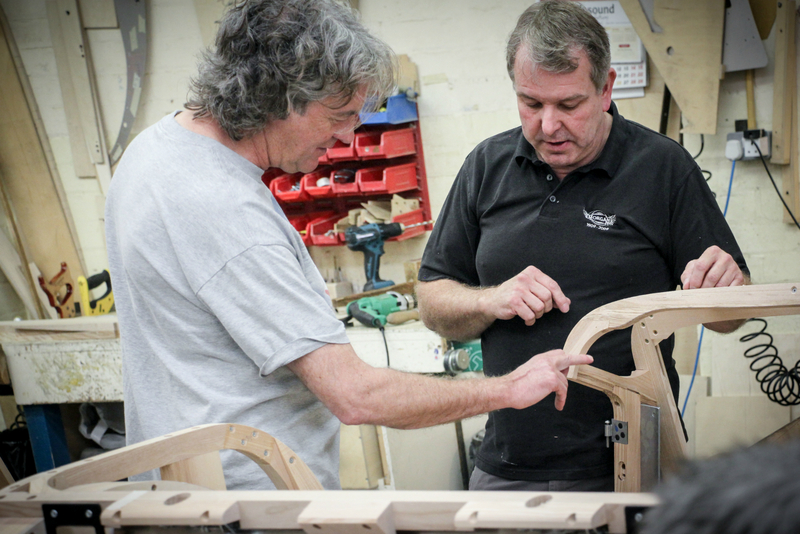 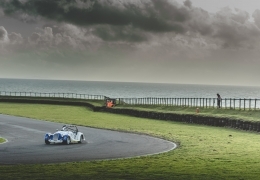 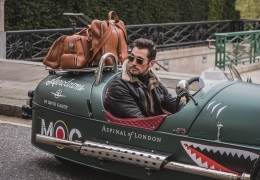 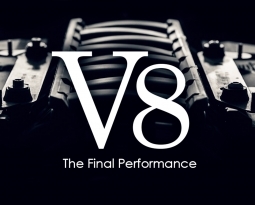 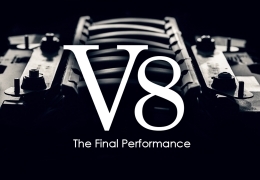 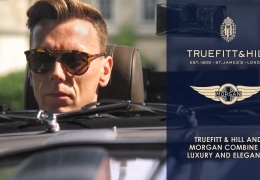 As the oldest privately owned car manufacturer in the world and one of the few manufacturers still using traditional craftsmanship, the Morgan Motor Company were the ideal choice for James to visit. 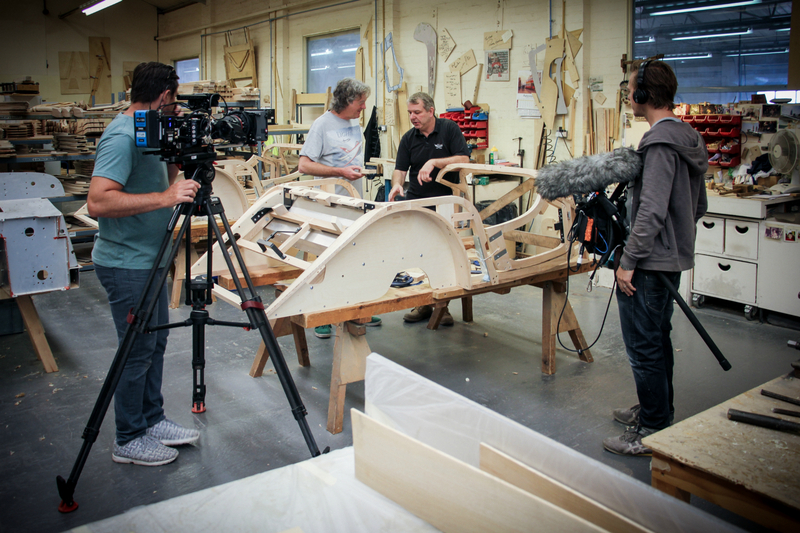 In the days before his visit to Morgan, James and his BBC film crew had visited McLaren and Toyota, both of which provided a fascinating juxtaposition to the way cars are built at Pickersleigh Road. 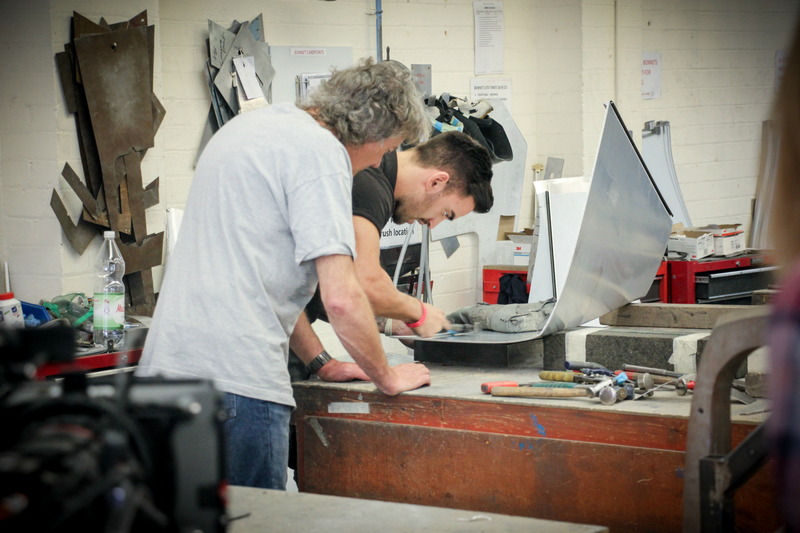 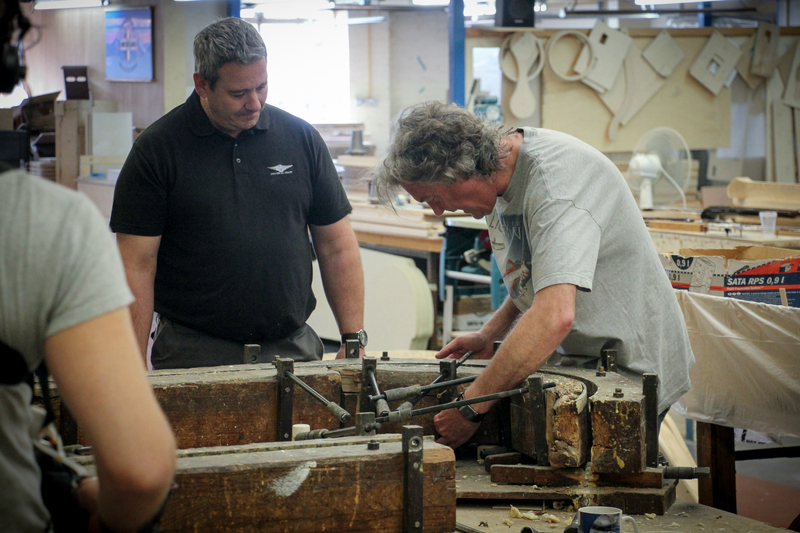 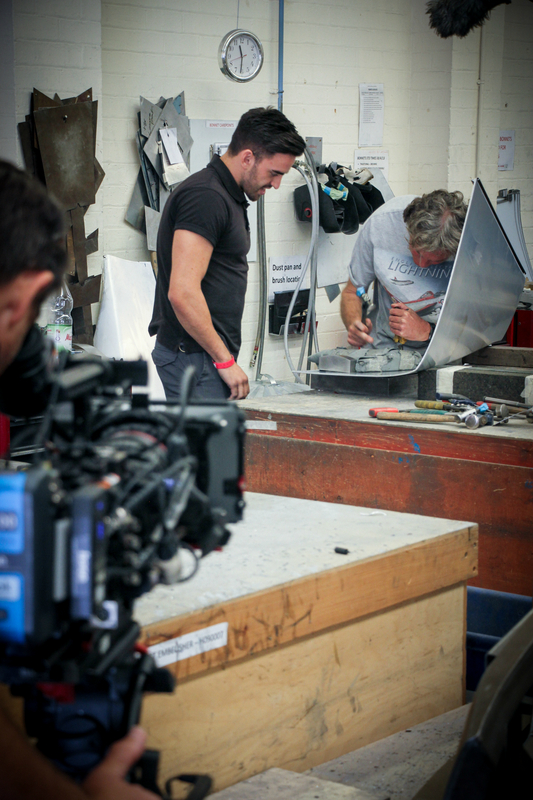 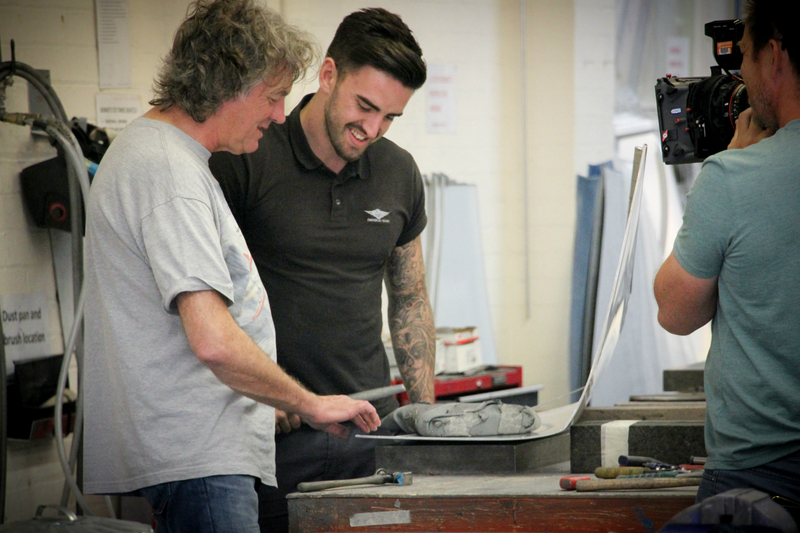 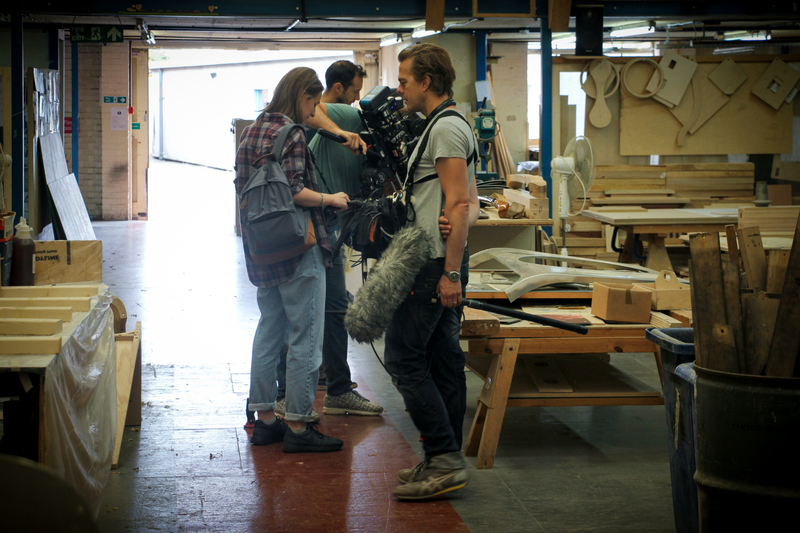 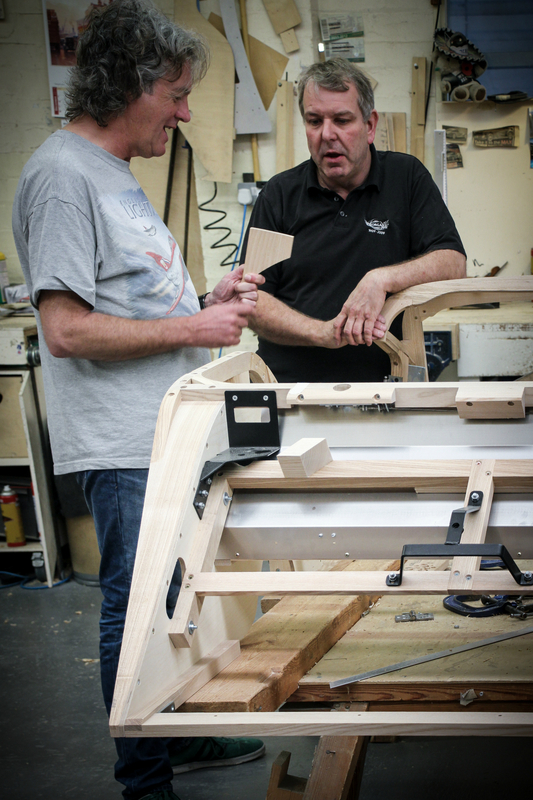 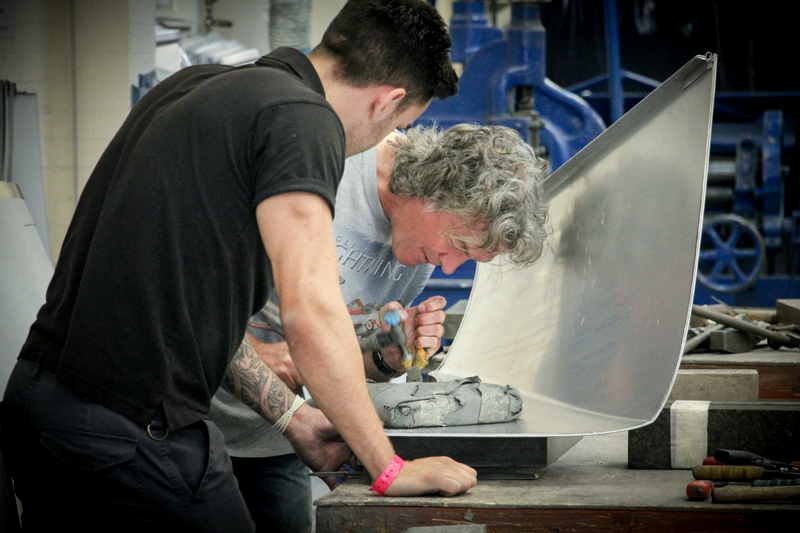 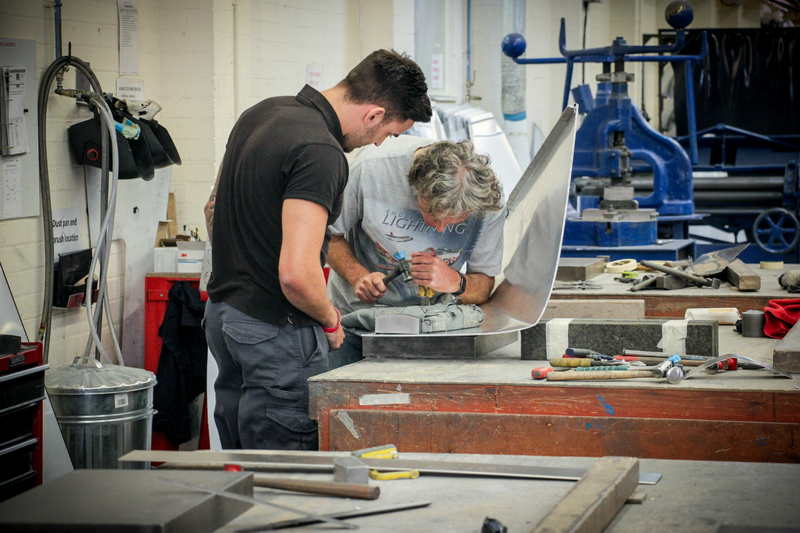 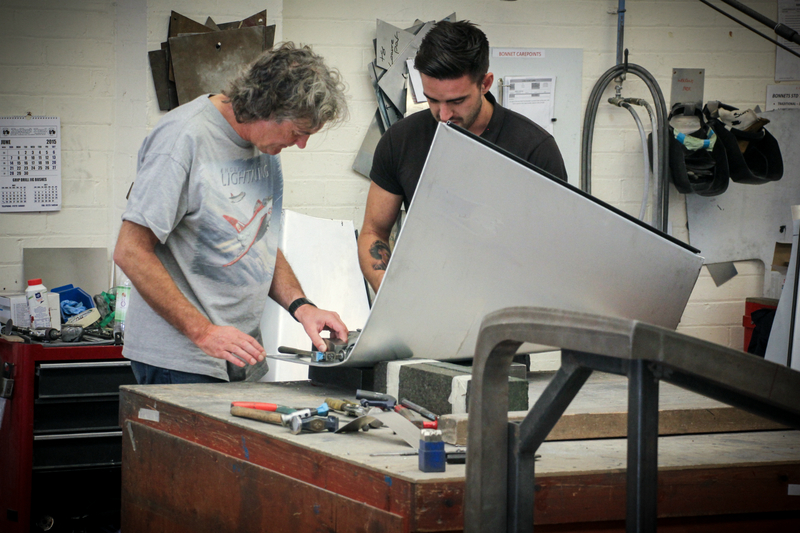 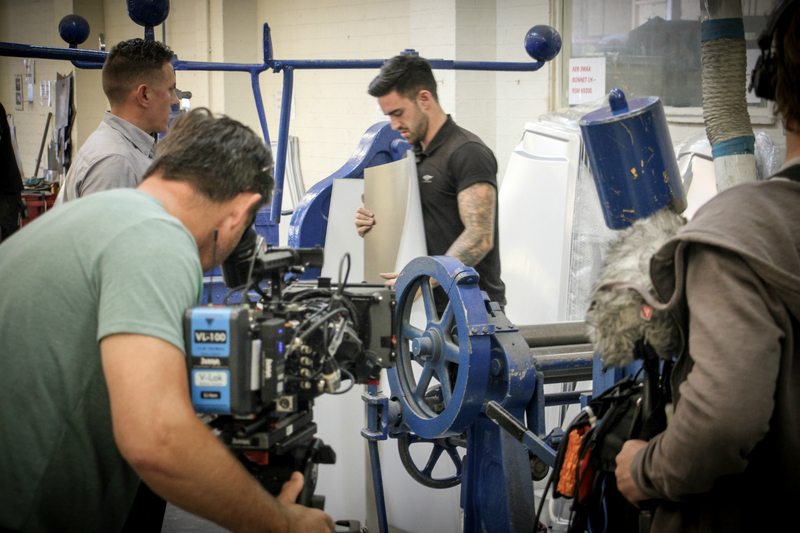 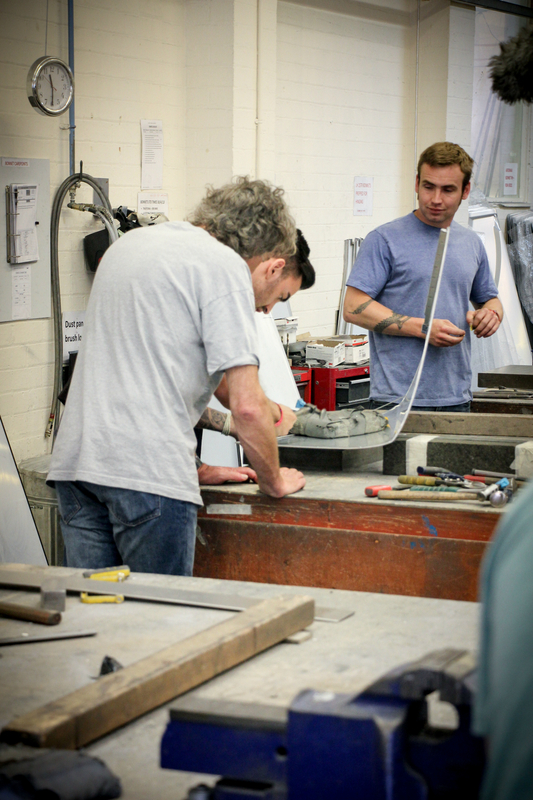 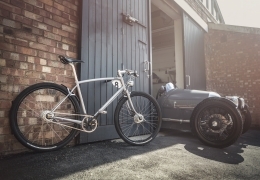 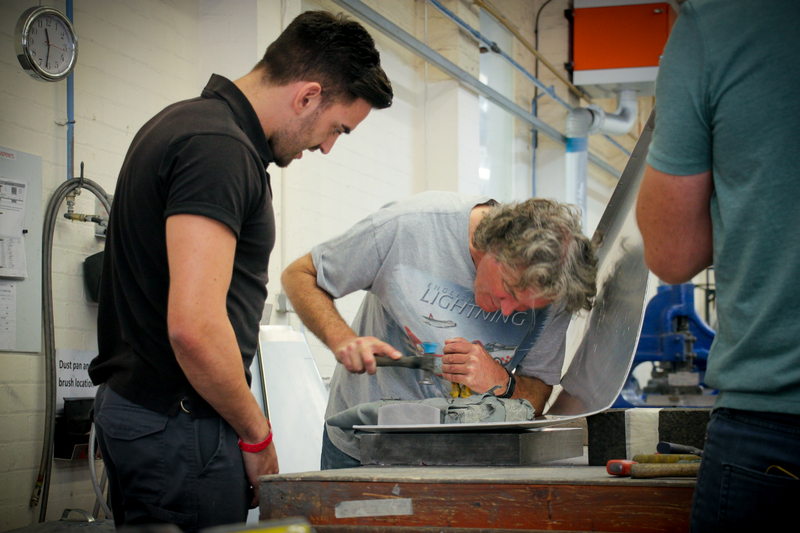 James met craftsmen and women at the factory including Nic Butler, who demonstrated how to perfectly craft the rear wing section of the ash frame and Blake Bishop, who showed James how to craft a bonnet from a flat sheet of aluminium. 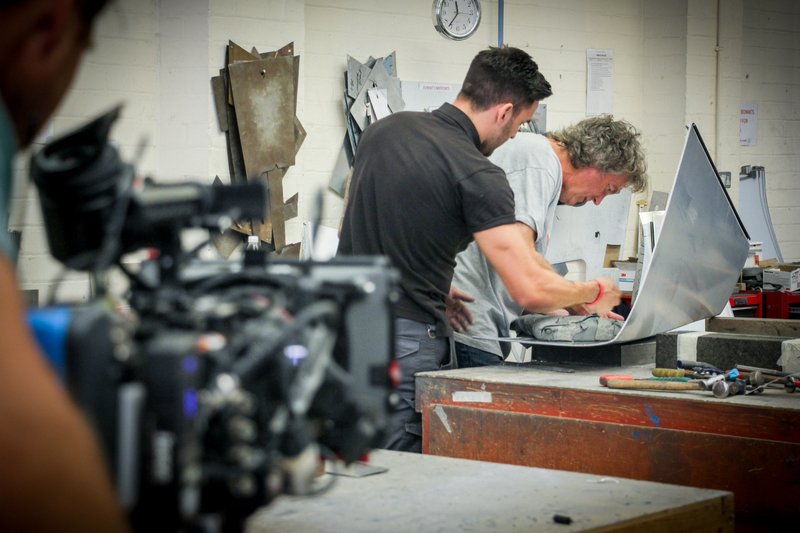 View a full selection of exclusive behind the scenes images from the visit below. 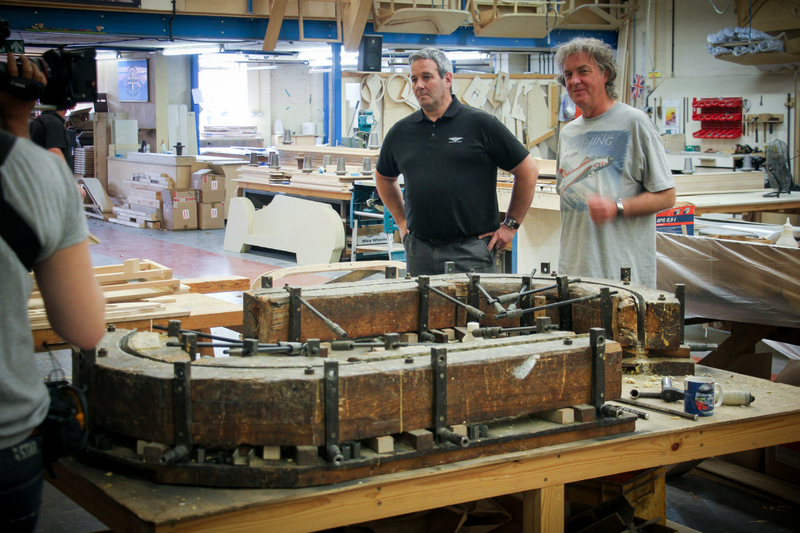 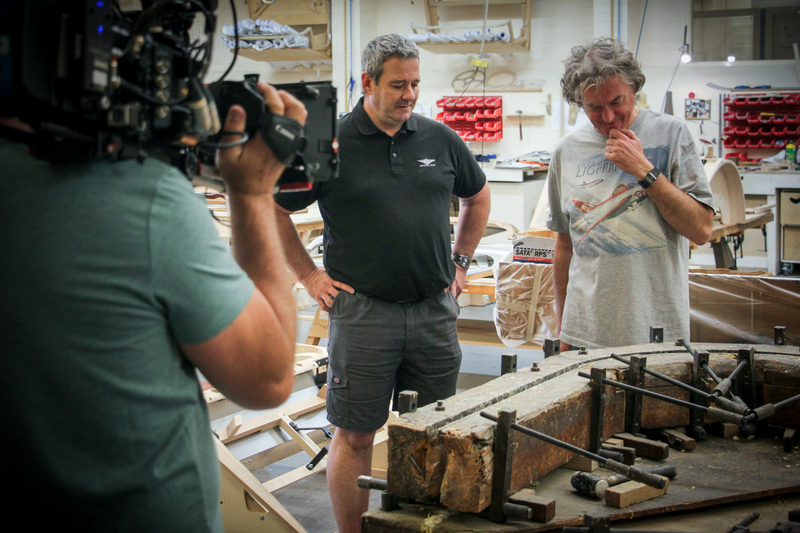 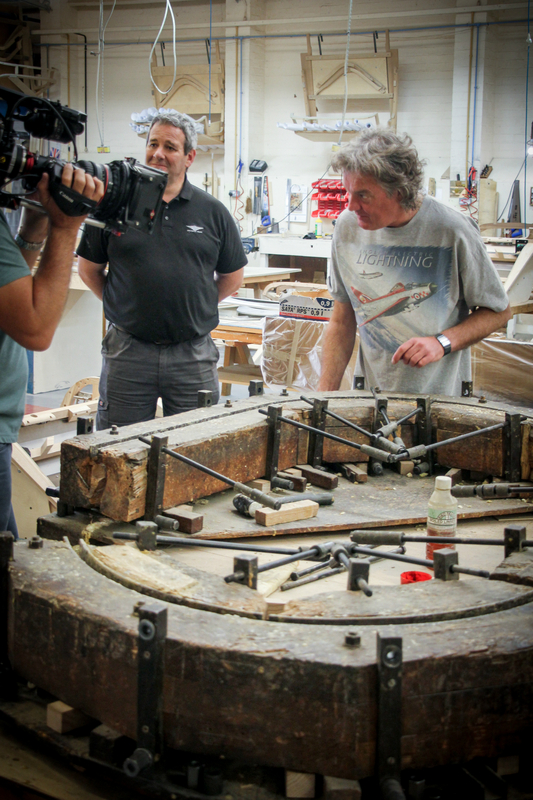 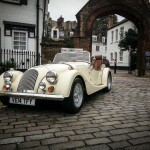 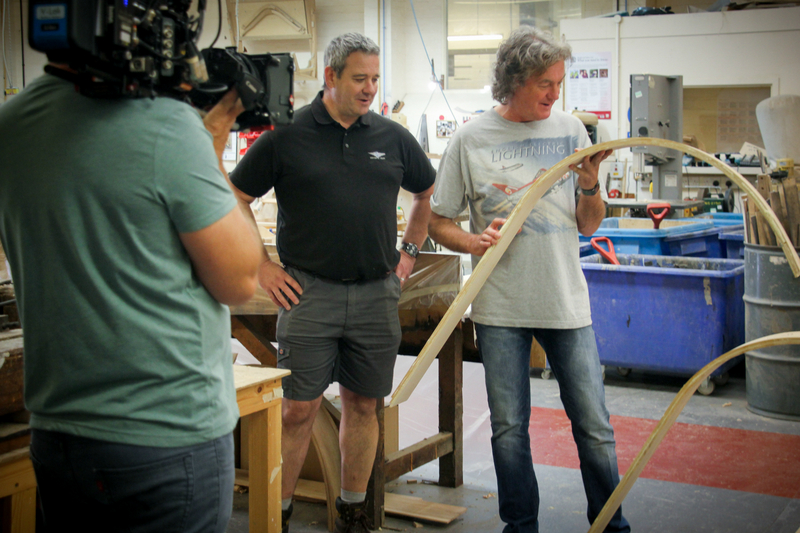 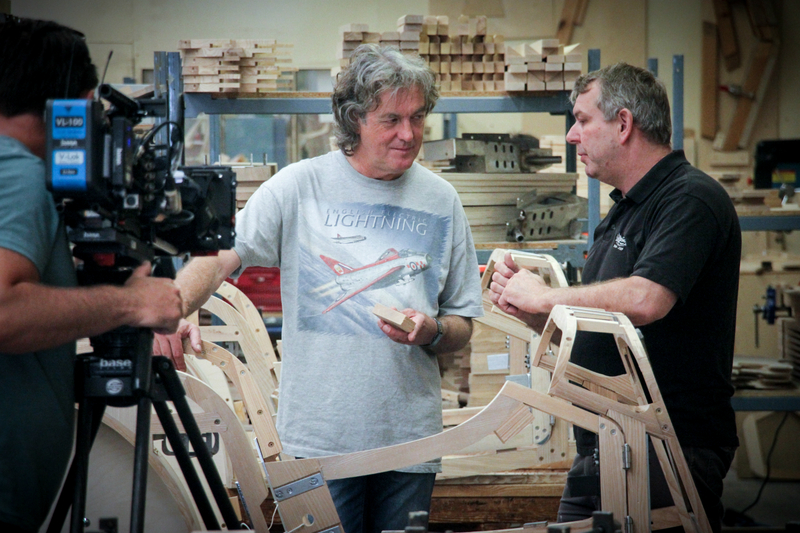 Morgan would like to thank James May and BBC Building Cars Live for visiting.